Thanks fellas. Nice to talk with you as well. The club did a great job. It was great to be there and very much worth the trip. Its fun to be with a mob where nearly all are N scalers. I was amazed at how many had been to Galesburg. Some even knew the exact area we are modeling. Some very nice dealers as well. My favorite find was the fellow selling the VW vans. Perfect for our layout's era. We were both glad that we were given enough room to set up our entire layout. We were quite worried that it would not all fit. But all was good and we had a nice space for our entire setup. Again, our thanks to the club for all their efforts. Here one of my favorite guest operators switches some cars on Jim's modules. Jim actually has more difficult modeling on his modules as most of it involves modeling part of Butler Manufacturing's massive complex in Galesburg. The scribing of 5' X 5' lines in the concrete has not been a lot of fun for him. Here you can see some of the massive concrete foundations that Jim has had to model before he can even start work on the structures there. Here he placed some cheap temporary stand-ins for people to look at, and operators to park cars next to. I often use my pair of ATSF geeps as power for the switch job here. This is a flash picture as the lighting was a bit dim. It really highlights how I need to get some weathering done on my rolling stock eh? The "Q" is often represented by Jim's custom painted Kato NW switcher. The lettering reflects that of the 1960s era. We had several switching sessions and exchanged cars several times between our two roads. My yard leads are very short on purpose. I often could only retrieve 2 to 3 cars at a time. But this makes the puzzle more fun. I discovered how lousy of a switchman I truly am as I made many goofs during my attempts to sort cars in my small yard. Ah well, this is how we learn. I would often pretend that a way freight had dropped off a cut of cars in my small yard, and that my task was to sort which were being handed off to the "Q" and which were to go to local industries. All good fun. My Atlas switcher performs better at each show, not perfect, but better. It was amazing that the dispatcher would hold up the El Cap all day long just for my switching. Funny that. By hindsight, I realize that a real railroad would never have left off a yard lead here (there is one on the other end of the yard). What can I say. I goofed. Today, there is no yard here, nor yard lead. I guess my track here is a compromise between what I observed there today, and wanting to have some kind of yard lead that did not interfere with the "storage track" you see. It is very likely the yard lead continued to be independent of the main on into town along the mainline here in the past. Forgive me, I had just inches left to the module's end. Like all modeling, it was a compromise. Thought I'd post a bit more concerning the depiction of Butler Manufacturing. 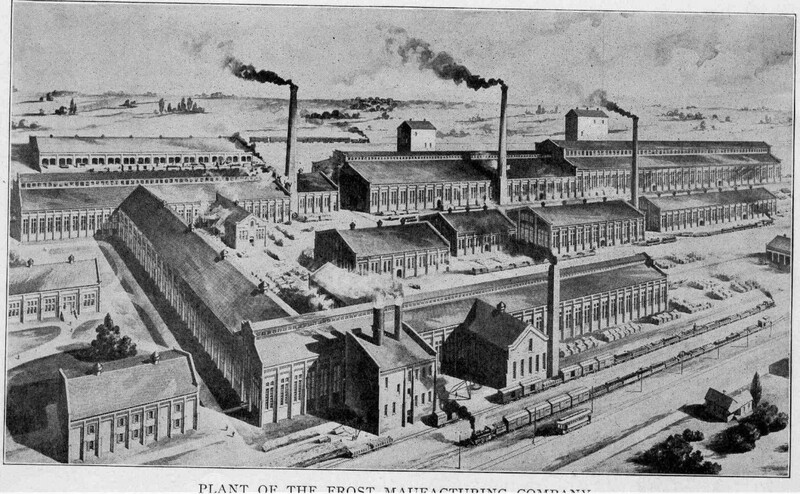 Originally this complex was called Frost Manufacturing, years ago. But by our era (the 1960s), it was referred to as Butler. It had a massive "footprint" and employed many in the Galesburg area. Years ago, it was significant enough to attract one, if not two, interurban railroads - and a couple standard - gauged ones as well. In the small map below, one can see a couple interurban tracks crossing the territory of the plant (southwest corner kinda). This made me wonder about the origin of some of the tracks. 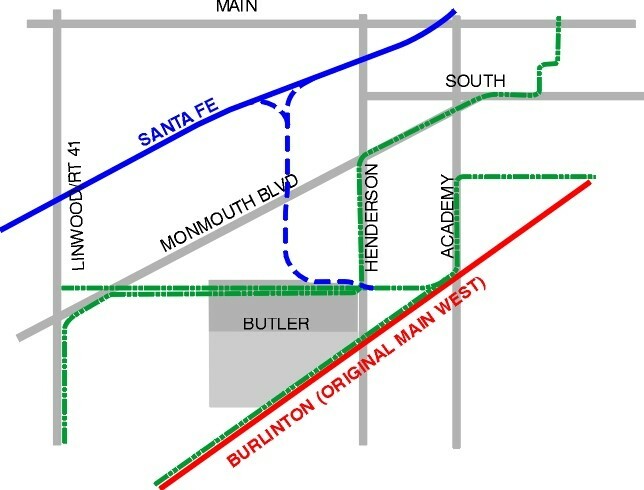 A local rail historian, and good friend, created this map to make things a bit clearer (Green for interurban): Thanks Ron! Later, another good friend - also a local rail historian, provided me with this postcard/drawing. Some of these original buildings even survived into the modern era (of the 1960s): Thanks Bill! Even though we are only able to include a portion of this massive complex on our layout project, Jim is still having quite a time just getting the "acres" of concrete ready to accept the factory buildings. He is often distracted by his custom painting business - he painted his own Burlington switcher seen previously. The Galesburg show is just weeks away. Hopefully he can make some good progress. I myself am still researching the industries on my portion of the layout. This is all part of the fun of attempting to model, or as I call it - "simulating", a prototype. Thanks for "listening". I mentioned it elsewhere. Forgive me for blabbing about it here too. I think its a great place not just for N scalers to buy stuff, but a great place to railfan as well. I really like the height,, perfect I think. I have been there once,, still wished I lived up north,, just seems to be more rail events than in Texas. Had a great time at Galesburg Railroad Days this year, as always. The new venue for the show was a real winner! Lots of space there for vendors and layouts. A huge plus was air conditioning for all. The lighting was very good. Compliments to Larry Anglund for really working hard to keep this show going in the face of so much opposition. The show seemed well attended and I hear they reached some goals for that. A really nice variety of vendors were there. I was glad to see several historical societies' tables and displays. A surprise was seeing Kato USA in attendance as well. N scale was well represented there. Many of the latest N scale releases were for sale. It was neat to see Trainworx's Bicentennial semi trucks & hopper for sale; (no, I resisted). My splurge was one of the latest Athearn auto racks. Sure wish SLRs came with an on-screen level - sorry. Jim arrived early and helped define our space for the layout. I arrived very late for setup on Friday night - after Chicago area construction forced us to re-route overland. Saturday morning we loaded up on a big "brefast" and got things running in a semi timely manner. The most oft' asked question was "why so high?" - (the layout, not us). Once explained though, people seemed to understand why we chose so much height for our layout. Although we did get some who specifically complimented us on it. Jim is near completion of the massive concrete base for Butler industries. It was neat to be able to view it from another angle. The structures you see are just props. The work will soon begin on the structures. My son Will kept the ATSF geeps busy for most of the show's two days. I think he discovered the joys of a switching layout. Ah the variety of 60s era freight cars.... Weathering needs to be done on them. ATSF crews were not happy to have the big bosses around. These trailers pointed the way toward each RR's mainlines. Sure do like the new Athearn auto racks. I had to display mine. Jim is not the only one with stand - in industries. I managed to assemble this kit before the show. It will work for now. Jim and I like to gift each other with freight cars on occasion. Here is a recent gift. The Atlas switcher is running a bit better. It spent most of its time as a yard goat. On display next to our layout was this custom O scale hopper that Jim painted. Fantasy yes, but I'd like one N scale too. The owner is a cancer survivor, hence the ballast color. Its a free country. More pics from our homecoming at The Galesburg RR Days show. It was fun to see this insignia on the (former) Pensy's mainline. I tried to imagine the Broadway Limited crossing here. Part of the fun of taking "the back roads" is being able to take a minute to capture scenes like this. We were crossing (the former) C&EI main here. The outdoor displays at the depot were not expansive this year, but we'll take it. I am grateful to some good folks at GE and BNSF for their participation. We had a look at some of the remains along the "City Job" line after the show Saturday evening. Here is what appears to be some remains of a coal dealer, possibly? And of course the bridge was fabulous. Less and less predecessor roads every year - as to be expected. I had to get a picture of this former trolley barn along main street. It will soon be torn down to make room for the road to tunnel under the Q mainline. Seeing this former ALCO product was fun for us. My son liked seeing it after switching on the layout using one of Atlas' S-2s. Following the TP&W home was great fun as well. We "had" to make stops in Gilman, Forrest, Cresent City (BOOM! 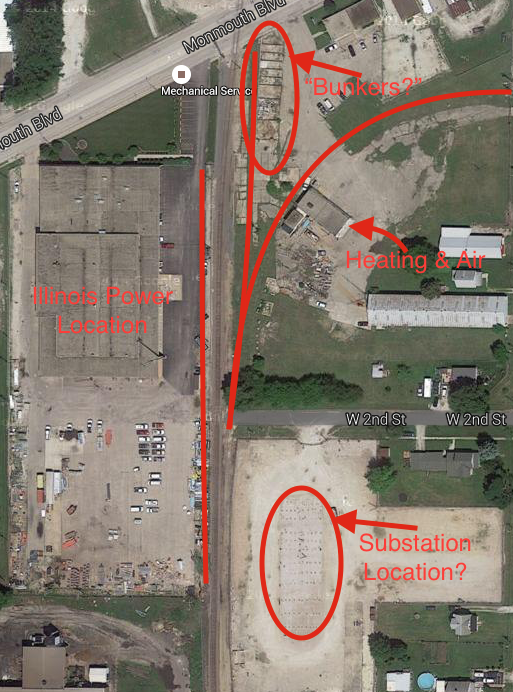 ), Watseka and other important locations. Seeing a working semaphore signal was quite a treat. Here is the crossing with the IC. I just can't bring myself to call it CN. I'm getting nervous about the upcoming St. Louis prototype meet. In my eyes, the meet will be a "jury of my peers" type of event. My goal is to have some structures on the layout to represent the prototype industries that were served by the spurs on my modules. My problem is that I am lacking any information on them. Hence, its hard to start any prototype models just yet. However, I have a couple good sources lined up for prototype information. But perhaps any structure models will not be so crucial for the show after all. I think the main goal is to have the layout functioning well so that others can operate on it - which is the point of the show - to introduce others to prototype modeling. Or for us, at least prototype - based modeling. Perhaps we can help show that you can take off the shelf models and use them to strive for higher goals. In looking back on the layout's pictures from two years ago, it seems that I have made some decent progress on it. So perhaps I can chill a bit. Pretty cool stuff here, thanks for sharing. I really like the unique prototype, Illinois doesn't come to mind when I think the Santa Fe and interchanges are always fun too. Agreed. Its not typical to think of the ATSF as an Illinois road, much like thinking of the Pensy as a Michigan road. Yet, both had sizeable presences in both. Credits to my friend Jim for realizing that modeling the Q mainline was "over the top" for the two of us. Trying to recreate this small industrial interchange between the two roads was much more sensible for many reasons. Thanks for the kind words. I think my modeling is sometimes too clean though. I need to weather a lot of things. I reckon I'll get the basics done, and then go back and make things "dirtier". Wait, that sounds bad. I want to state for the record that these N scale models of Sante Fe cabese are a bit too new for the 60s era. The caboose body is "fine", per se, but the paint is a bit too new. It is my understanding that this is actually an 80s, or so, paint job. For the 1960s "billboard" era, the basic paint job is fine (except for the numbers on the cupola) and a few less windows should be filled in. They are very close representations of what could be found on the ATSF during my target era. Alas, Centralia Shops decided not to model these for the 1960s era. In my mind these models are close enough. That, combined with the fact that they are so well detailed, cheaper than brass, and "so darn pretty". Well, they were hard to resist. As part of my research, I recently picked up this book through a friend. I highly recommend it. It is a great work. 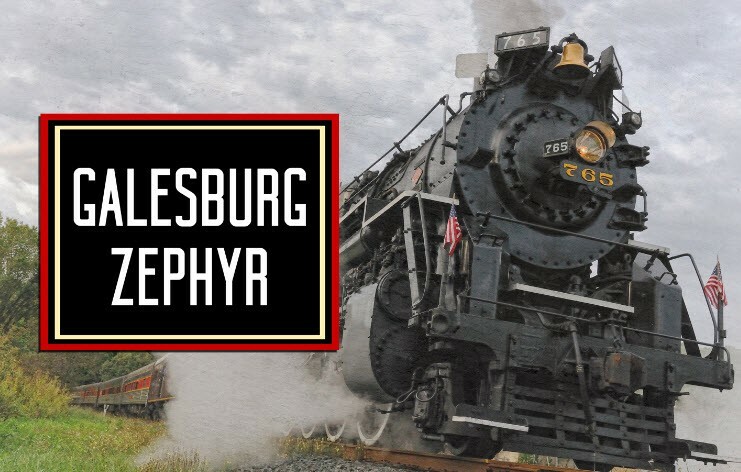 For my immediate purposes, it contains a surprising amount of information on the industries served by the ATSF in Galesburg. There were a few pictures which helped confirm some of my friend's memories of things in town. But much more importantly, it helps preserve the memories of some of the railroaders who worked the area we are modeling. That is the real gold. As I read though the book, I have really enjoyed the great mix of historical facts, maps, pictures, and those railroader's memories of the towns and locations served by the Santa Fe in Illinois. This book is so much MORE than a book with pretty pictures - as many train books are. Over the years, I realize that I have seen quite a bit of the Santa Fe in Illinois. This book has taught me a lot more about the locations I have visited. Again, I highly recommend this work to all. There is some gold here as well. I wish these things existed for the 1960s era. Still, there are diagrams and industry names inside that add to my knowledge. Some spurs do not list which industries they served. Thats not a surprise, as they were likely no longer in business by the time the CLIC books were produced. I have a few more sources lined up. Now to find some pictures of those industries... The St. Louis RPM is in 30 days. ZOINKS! Well, I likely will not have any industries ready for the show, but at least I can get the layout performing better for others to operate on. That is my main goal.